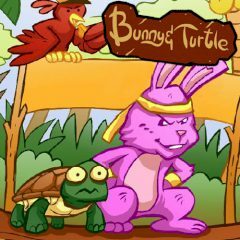 There is a story about the bunny and turtle. They will race to reach the finish line. Spot and click all 10 differences between the scenes to progress through this funny bunny and turtle story! Wrong clicks will cost you 5 points. If you get stuck, use the lamp to help you find it.